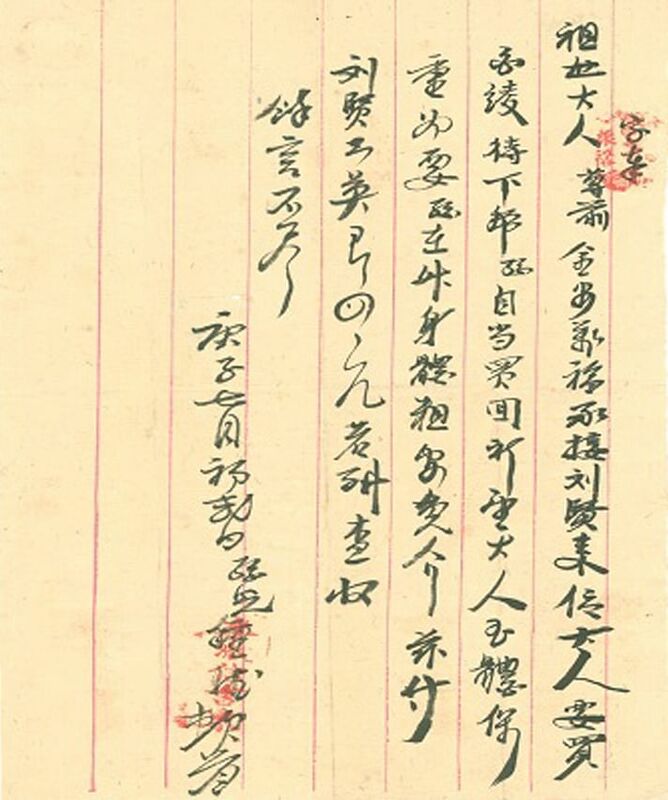 When shopkeeper Li Zhongde wrote letters to his family back in Fujian province, China, to tell them about his life in Singapore, he probably never imagined that this correspondence would be studied by scholars more than a century later. The letters between Li and his family were discussed at length at an international conference on overseas Chinese, held at Nanyang Technological University (NTU), over the weekend. Li arrived here in 1898 to work as a shopkeeper. He wrote frequently to his wife, mother and grandmother back home, often sending them money, in the form of silver coins, along with his letters. Xiamen University scholar Shen Huifen studied nearly 50 of the letters that he wrote from 1898 to 1903, because they illustrate the plight of Chinese emigrants seeking their fortunes in South-east Asia or beyond during that period. Dr Shen presented a paper on this topic on Saturday, at a two-day conference titled The Qiaopi Trade In China And Overseas, organised by NTU's school of humanities and social sciences. Held in English, the event was attended by more than 20 scholars from the United States, Britain, Australia, China, Malaysia and Singapore. Dr Shen, 40, from the research school for South-east Asian studies at Xiamen, said she obtained the letters from art collector Huang Qinghai in Quanzhou, Fujian. "The letters show a migrant's experience, and how he maintained his ties with his family and played his male role as material provider under very difficult conditions overseas," she said. Known as qiaopi, or letters from Chinese overseas, such correspondence was often accompanied by remittances from the senders. Qiaopi has seen strong interest from scholars in recent years, said Professor Liu Hong, who chairs NTU's school of humanities and social sciences, at the event's opening on Friday. Prof Liu believes historians and scholars are gaining greater perspective from these letters, which go back as far as the 1820s. At least 160,000 of them have been collected by archivists in China alone. They have helped illuminate studies in areas such as sociology, politics, trade and even the money market, as seen from the 12 papers presented at the conference. Prof Liu said Singapore provided an important network in South-east Asia in the late 19th and early 20th centuries for qiaopi activities and trade as 90 per cent of Chinese emigrants were based in South-east Asia after World War II. NTU hopes to do more in this area of research in future if it has the funds, he added. One of Singapore's earlier history researchers on the subject, Mr Kua Bak Lim, 67, presented a paper, titled New Thoughts On The Research Into Qiaopi, on Saturday. He said: "Qiaopi also contributed to the social and political history of Chinese overseas in the past century. Such studies should be popularised for the masses in the form of publications or documentaries."